There's nothing quite as annoying — or gross — as a clogged drain, which is why we're considering the PermaFlow Never-Clog Drain ($20) in the Uncrate HQ mens room. 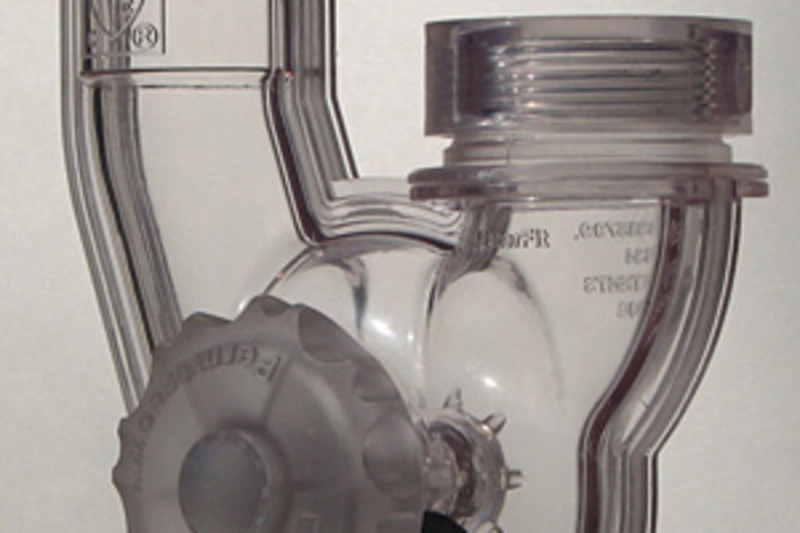 Made from clear ABS plastic and synthetic rubber, the Perma-Flow attaches easily to standard kitchen and bath drains, and features a unique, integrated drain-clearing wiper that helps you move clogs on down the line, and stops lost items from venturing past the point of no return. Plus, by removing the need for excess amounts of Liquid-Plumr, you're also doing the environment a favor at the same time. One of the problems with speakers is the fact that their size often forces you to leave them at home. 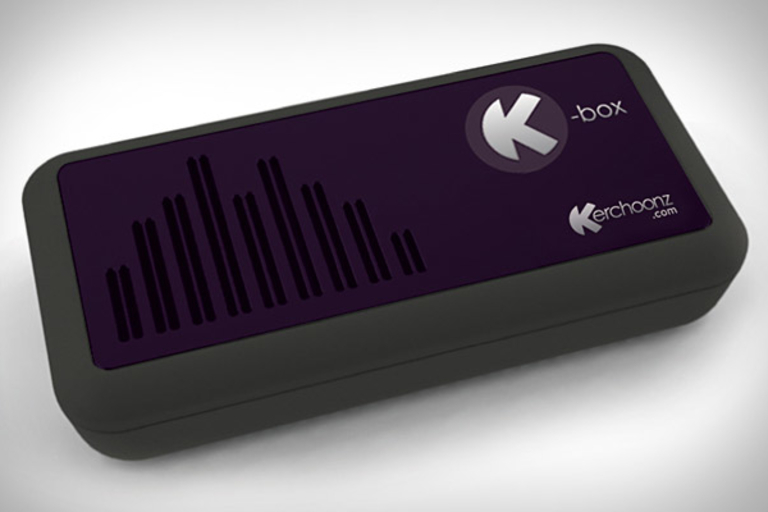 Not so with the Kerchoonz K-Box Speaker ($75). At just 4.5" x 2.2" x 0.8", this diminutive speaker can be hooked up to practically any audio source, and uses patented gel-audio technology to turn any flat surface — like a table, wall, or box — into a full-on speaker with surprisingly good bass response. Sure, it's not going to replace a portable Hi-Fi, but for places that you don't want to take your normal portable system, it's better than nothing. 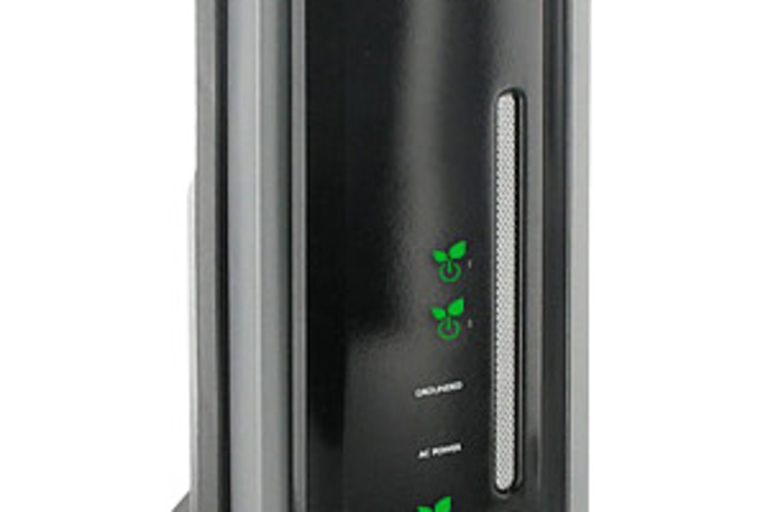 Cut down on your electronics' energy usage with the iGo Green Power Smart Tower ($80). This smart surge bar offers eight outlets, four of which stay on in a fixed position, and four that feature iGo Green technology and also rotate 360 degrees to accomodate a number of differently-shaped plugs. The iGo Green technology automatically powers down outlets that aren't currently in use and powers them back up when devices need power, reducing standby power usage by up to 85%. Other features include a tower-style design with integrated cable management, dual front-mounted USB ports for charging portable devices, and a 6-foot power cable with a right-angle rotating plug. Need to add some serious storage to your portable media player or phone? Check out the AirStash ($TBA). This pocketable gadget lets you insert up to a 32GB SD card to use as storage, a USB plug for copying over content directly from your computer, and built-in Wi-Fi that allows user to access any supported media file directly through your device's browser, no cables — or apps — needed. Move over Kindle and Nook: there's a new e-reader in town. 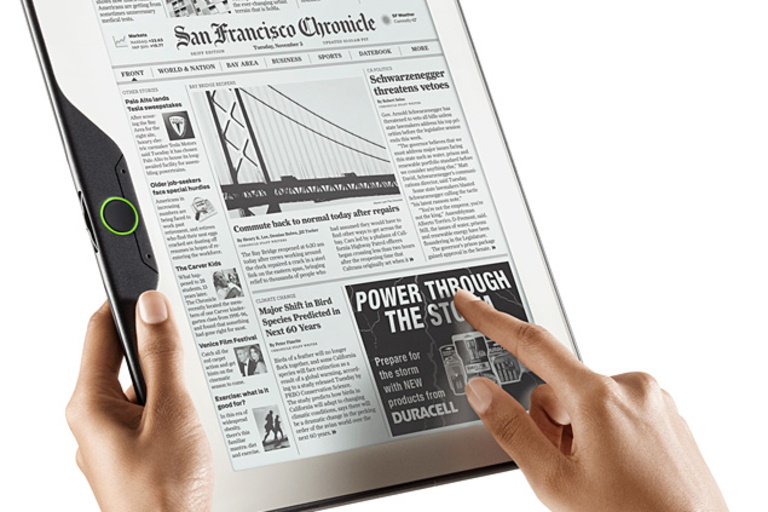 The Skiff Reader ($TBA) boasts the largest, most high-resolution display of any consumer e-reader yet, clocking in at 11.5 inches and 1200x1600 resolution. 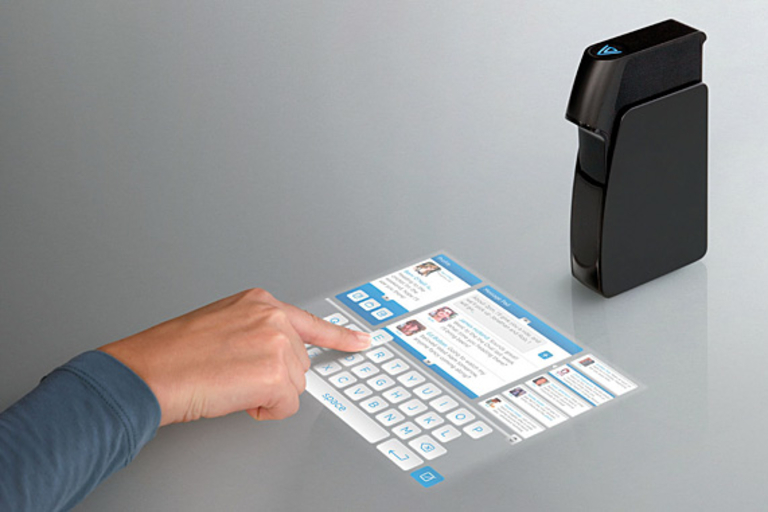 Made using LG's "Metal Foil" e-Paper technology, it removes the risk of breakage found in other, glass-based screens, and offers full touchscreen capabilities, as well. 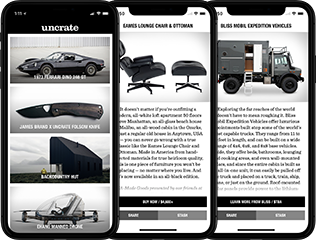 The device will be sold and supported by Sprint over 3G, and also offers a built-in content store and Wi-Fi. Tired of waiting around for the mythical, Unicorn-like Apple Tablet? The Sony Dash ($200; April 2010) just might be for you. 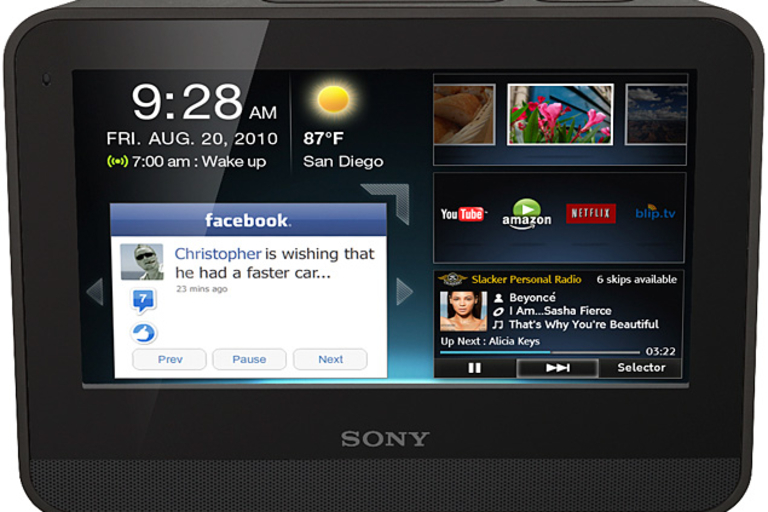 Sporting a seven-inch touch screen, Wi-Fi, an accelerometer for automatic screen reorientation, a USB port, and stereo speakers, the Dash is a connected Internet viewer and mini-computer, compatible with audio and video content from Sony's Bravia Internet video platform — like Pandora, YouTube, and more — as well as over 1,000 apps from Chumby industries, a NAVTEQ app for directions, and more. We've had touchscreens now for a while, and we've had projectors for way longer than anyone reading this has been alive. So why haven't they been combined before now? Light Touch ($TBA) is only a reference product for now, but it features up-and-coming tech like holographic laser projection technology that allows it to create a bright, high-quality, always in focus WVGA resolution image — up to 10 inches — on nearly any surface, and pairs it with an infra-red touch sensing system to turn the projected image into a touch screen. In addition, it runs Flash Lite, allowing for a whole host of different applications, and boasts Wi-Fi and Bluetooth for connectivity, 2GB of onboard memory, and a microSD slot for expansion.